How Did Rick Ross Lose Weight? 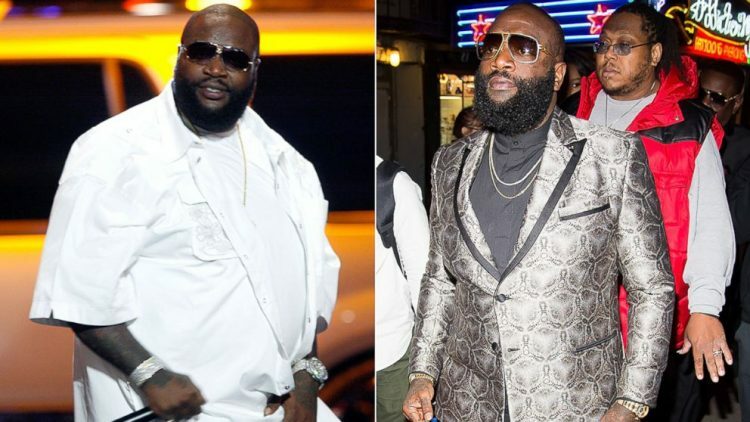 What are the most important Rick Ross weight loss tips you can apply to your own life? If you are obese or overweight right now, you know you need to do something. Don't for a doctor to tell you that you have high blood pressure/cholesterol/a1c or worse, a seizure to wake you up. In rapper Rick Ross's case, it took two seizures to get his attention. What is the value of money, steaks and a private jet if you are having a seizure? Not much. And, you do not need to be wealthy to use these tips from the Rick Ross weight loss story. Whether you are 10 or 100 pounds overweight, there are pearls of wisdom here for everyone. Let's dive in and find the nuggets to feel good and look great! Weighing 350 lbs., sleeping for just three hours a night, and pounding back 24-oz. steaks at 4 a.m., rapper Rick Ross was living life to what he thought was the fullest. But two seizures within 24 hours in 2011 – which required his private jet to make an emergency landings both times – forced Ross to reevaluate everything. The key to Ross' weight loss was taking things slow, rather than trying quick fixes that wouldn't stick. “If I quit all the things I loved cold turkey, I knew it would only be so long before I went back to my old ways,” he says. Instead, Ross allowed himself to have the fast food from Checkers and Wingstop that he always loved, but only between noon and 5 p.m., and only two or three days a week. And for the rest of his meals, Ross worked with a chef to come up with healthy recipes that he would actually want to eat. Four days a week, Ross goes for a warm-up jog, and then sets up five exercise stations with moves like deadlifts and push ups, working through them for 30 minutes. Success leaves clues. Rick Ross also found that classic powerlifting lifts like the deadlift leads to changing your body fast. Ross says that finding workouts and foods that he would actually enjoy was the key. “My advice for anyone looking to lose weight is to not make it feel like a job,” he says. You do not need to have a seizure in order to get on a program to get fit. In fact, if you know that you are overweight now, start now, before any seizures or other medical emergencies occur. The truth is that 70 percent of American adults are overweight, so needing to lose weight is nothing new. The point is to start. Do not wait for a seizure or other reason. If you are overweight, get determined, get focused and start now, day one. You can change your diet and exercise program. You do not have to be a financial rock star or rapper to change your diet and start moving. You can make up your own program or use the Fit Apprentice plan. Add more fresh vegetables, fruits, real foods. Remove processed foods. Start walking. Drink water, not vodka. Voila, you will lose weight. It happens every time. Rick Ross lost 75 pounds. You can lose 75 pounds, you will not be the first and not be the last. But, it is time for you to take action. If you make no change and keep eating the same foods and doing the same workout sitting on your couch, you will get the same results. You need to change up your diet and exercise program. You can do it. Lose weight slowly, this is the best path to follow. Gradual weight loss is a key component of the Rick Ross diet. There is no need to starve in order to lose weight. Eat real food, healthy food, and create a moderate caloric deficit. You can start exercising with a simple walk every day. Slow weight loss is the best and most successful path to follow. If you have a personal chef, great, otherwise, you have to come up with a bunch of meals that you like. And that you can prepare. Think simple and single healthy foods. An orange, rice and egg omelette. A whole grain turkey or tofu sandwich. Cut out the heavily processed foods, or like Rick did, only eat them at a specific time of day. You have to have a lot of willpower to do that. But, that might work for you. Be conscious and record what your meals are for at least a week. Get an idea of what you are feeding yourself with. How you are fueling your body. Take it easy, come up with some sample meals for yourself and stick with it. Watch the magic happen. Find the workouts and foods that you enjoy. Rick Ross discovered the incredible power of deadlifts and push ups. You need to enjoy this journey. If you accept the idea of gradual weight loss and muscle gain, you will have fun. The goal is to lose weight and get fit, easily and comfortably. You cannot transform your physique like Rick Ross without adding strength training. 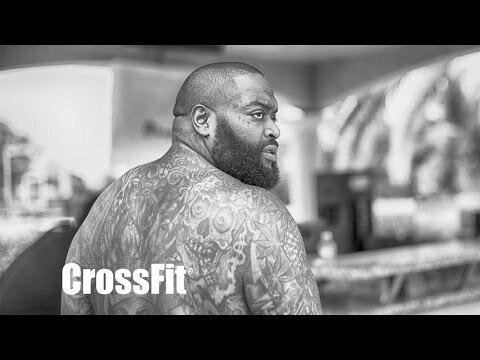 Rick Ross even calls his version of #CrossFit as #RossFit. The bottom line, you see that Ross did barbell training to achieve his amazing transformation. He discovered that same thing that you will. Barbell training is effective for overweight people who cannot yet do body weight exercises. The deadlift is the perfect compound barbell exercise because it works all the muscles of your body. Once you realize the number of deadlift muscles worked , you will want to deadlift. The deadlift targets all the major muscle groupss of your body. If you only have time for one weight training exercise – do the deadlift. This beginner deadlift workout will start you off on your resistance training. I use this same routine and it still works well for me at age 62. To avoid hurting yourself, and perfect your deadlift form, use the essential proper form deadlift checklist. In addition, a 12 week deadlift program for beginners in fitness will be a great asset. Strength training yields results when it is recorded and progressive. See Ed Coan's fantastic deadlift program tips. In addition, these 39 top deadlift tips for beginners and 5 simple steps to deadlift like a boss will help you make great progress. Real food, deadlifts, push ups, squats and walking is enough for a 75 pound weight loss over a six month period. What are you ‘weighting' for? Next, read the Guide How to Lose 20 Pounds in 3 Months for your own weight loss transformation tips.